Here in this article, we will provide you the HTC Desire 12 and Desire 12 Plus Stock Wallpapers download link. The Full HD+ resolution wallpapers are now available officially for other devices. The 2 wallpapers come with the resolution of 1080×2160 pixels and an 18:9 aspect ratio. So, both the wallpapers will look good and fit perfectly on your smartphone especially on bigger display devices. Before we jump into the stock wallpapers discussion, take a look at both device specifications first. The HTC Desire 12 and Desire 12 Plus smartphones were launched back in 2018 Q1, features glass panel for more premium look and feel. The HTC Desire 12 device comes with a 5.5-inch HD+ IPS LCD display, resolution of 720×1440 pixels, and the pixel density of 293 PPI. The handset is powered by an entry-level MediaTek MT6739 SoC coupled with a PowerVR GE8100 GPU. It comes with the 2GB/3GB of RAM and 16GB/32GB of internal storage variant. The device supports expandable MicroSD card up to 512GB. It doesn’t have any fingerprint sensor. The Desire 12 phone features a single 13MP of the rear camera along with a LED flash and the front does have a 5MP selfie shooter. Both the cameras can record videos up to 1080P@30fps and 720P@30fps. It does have a smaller battery of 2,730 mAh along with a Micro-USB port and a 3.5mm headphone jack. Other major sensors and connectivity options are also available in this device. The device runs on Android Nougat out-of-the-box. 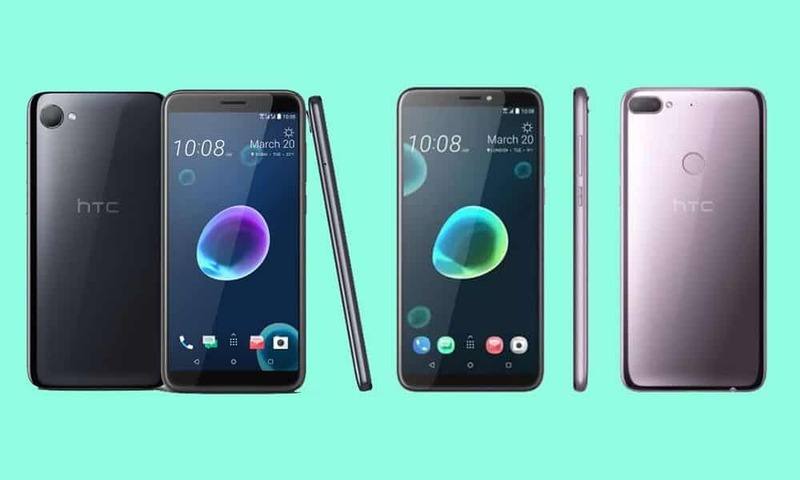 The mid-range budget segment HTC Desire 12 Plus device comes with a 6-inch Full HD IPS LCD display with a resolution of 720×1440 pixels. The handset is powered by the Qualcomm Snapdragon 450 SoC paired with Adreno 506 GPU. The device comes with a 3GB RAM and 32GB of onboard memory which can be expandable up to 512GB via MicroSD. It does have a rear-mounted fingerprint scanner. The handset featured by a dual rear 13MP+2MP sensor along with a LED flash and the front does have an 8MP selfie camera with HDR support. It does also have a smaller 2,965 mAh battery. All other necessary sensors and connectivity options are available. 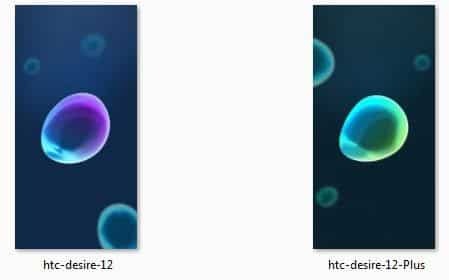 There are only 2 stock wallpapers available currently for HTC Desire 12 and Desire 12 Plus devices. But, both the wallpapers are in Full HD+ 1080×2160 pixels resolution quality. As both the devices come with an 18:9 aspect ratio display, bigger display devices will look good. Just download the (.zip) compressed file from the link below and extract it on your phone.